Add addon Report	Pripyat 2016 - AO3.1+AF3+AN4.01+DynamicHUD2.0 ! This is a compatibility patch that makes the best weapon mod for CoP (Arsenal Overhaul 3.1) and the best dynamic hud mod (CoP - HUD Reworked 2.0) run together. Beside Atmosfear 3 + Absolute Nature 4.01, and surround sound, these great mods all together provide a truly refreshed experience for all S.T.A.L.K.E.R. fans. Credits go to the mods creators, i have just put the little patch together (still WIP, if you find a bug please report it back and i will try to fix it). 1- Copy the content of Arsenal Overhaul- AO 3.1 (link below) to game dir, following the install instructions of the mod. 2- Install Atmosfear 3 for AO 3.1 (the one included as an optional addon in the AO 3.1 pack). 3- Copy the content of CoP - HUD Reworked 2.0 (link below) to game dir, following the provided instructions in the mod (overwrite files when asked). 4- Install Absolute Nature 4.01 (link below) to a temp folder, with the options of your choice. Delete the following files: "level.ai" and "level.spawn" (from "jupiter", "pripyat" and "zaton" folders) and "all.spawn" (from "spawns" folder), then copy everything else to game dir (overwrite files when asked). Due to a "bug" in Absolute Nature installer, it may not give you an option to install to a different (temp) folder if you have already installed it before, but deleting the listed files from game dir after the installation of Absolute Nature should be ok too. 5- Copy the content of this patch to game dir and overwrite files when asked. 6- Start up the game, adjust all options and there should be a new sound device showing up in the sound settings menu, called "DirectSound". Select that, enable EAX and restart the game. A- Don't forget that you must modify the "fsgame.ltx" file, found in game dir, in order for any changes of these files to work in-game. Once you open "fsgame.ltx", change the "$game_data$ = false| true|" statement into this one: "$game_data$ = true| true|"
B- To enjoy surround sound, make sure that you have OpenAL, that renders 3D sound and is compatible with S.T.A.L.K.E.R (link below), installed. Thanks m8, hope you enjoy. So all we need is to install AO 3.1 + HUD Reworked 2.0 + Atmosfear 3 + Absolute Nature 4.01 + surround sound THEN this patch ? Can you provide the download links for these "mods" ...or maybe better: Repack all these mods ( including your patch) in one package maybe ? 1- Copy the content of Arsenal Overhaul- AO 3.1 to game dir, following the install instructions of the mod. 3- Copy the content of CoP - HUD Reworked 2.0 to game dir, following the provided instructions in the mod (overwrite files when asked). 4- Install Absolute Nature 4.01 to a temp folder, with the options of your choice. Delete the following files: "level.ai" and "level.spawn" (from "jupiter", "pripyat" and "zaton" folders) and "all.spawn" (from "spawns" folder), then copy everything else to game dir (overwrite files when asked). 6- Start up the game, adjust all options and there should be a new sound device showing up in the sound settings menu, called "DirectSound". Select that and restart the game. B- To enjoy surround sound, make sure that you have OpenAL installed. Yes, under "Description", click on "Read more..." and you will notice the install instructions, including the download links for all the required mods and OpenAL. €: Btw., the difference between AO3.1 and 3.0 regarding compatibility towards AN4 shouldn't be big, right? For example with PR1.01b in both versions, the AI maps should be the same - in my logic. So with that, one should only have to fix the all.spawn. Thanks m8, yes that is true, but you know that only when you put this kind of stuff to run together that the problems start to pop up, and what seemed to be simple can become truly a nightmare lol. Pripyat 2016 #2- Pripyat Reborn version - Moddb.com . Is this compatible with the Pripyat Reborn version of AO3? I keep crashing when I try to install it. No, i don't think so, you should try to run this patch only with the required mods (links in "description") - Arsenal Overhaul 3.1, CoP - HUD Reworked 2.0, Atmosfear 3 and Absolute Nature 4.01 -, and optionally NanoCell Inventory, CS Combate Music and No HUD patch. I have tested this setup for many hours and it should run flawlessly. Thanks for the help, the game works now. In your instructions you said to install Absolute Nature 4 into a temporary folder, delete some files and then transfer them to the Stalker directory. When I ran the AN4 .exe it didn't give me the option to find the directory and installed it automatically, it also said that atmosfear 3 wasn't detected. I deleted the files you listed after installation and the atmosfear menu is working so the game runs fine, I'm just wondering if you had this problem and if it might have caused any issues. This might be asking a bit to much but is there any chance of compatibility with the Pripyat Reborn version of Arsenal Overhaul? Anyway thanks for the help and the compatibility patch, gave COP a fresh new look. Thanks, yes this is propably caused by a "bug" in AN installer, it will not give you an option to install to a different folder if you have already installed it before, but deleting the listed files should be ok too. The same will not happen with AF installer i.e..
And yes i will take a look at the PR version of AO, if it doesn't look like a true nightmare lol, i will work on a new version of the patch ok. Cheers for the help. Best of luck with the PR version. If I may ask, would it have been better to compile all this and patched over an already existing mod? I mean, im sure that many are burnt out on vanilla and prefers to play on something that has some game mechanics changed. So to have this on top of misery 2.1 would have made it 10x better than vanilla. Just my opinion. Yes i understand what you mean, and in fact i agree with you, the problem is that when you add more and more stuff to the mix, specially mods that change game mechanics, creating a compatibility patch becomes really hard, and it will eventually get to a point where it becomes impossible to merge different mods without eliminating some of their characteristics. 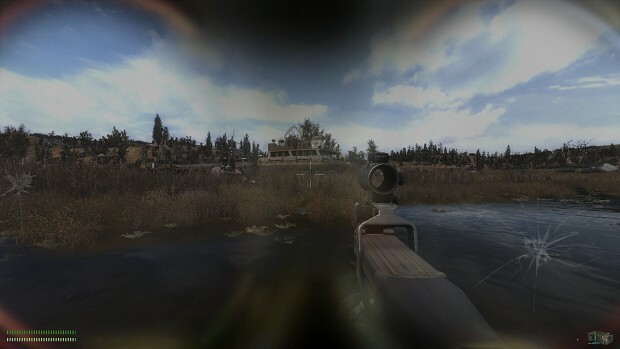 Pripyat Reborn version - Moddb.com , i will start working on a SGM and Misery versions in the near future. One question... I want install Absolute structures too... What's the order for this mod? Is compatible right? I would like to know this as well. By the way, which version of Absolute Structures are you installing? Can you privide the link, please? Does this patch work with AO 2.5 ? Hello, i tried to install the mod yesterday but the game crashed once i tried to open a new game. I might have made mistakes in one of the steps, but does it matter if i install AN 4.04 instead of 4.01? I can't find 4.01 anywhere.. I used AN 4.04 and the game launched just fine (only played for ~30 minutes, though). What I would be interested to know is that can I just skip installing the HUD mod if I prefer to use the vanilla HUD? "Delete the following files: "level.ai" and "level.spawn" (from "jupiter", "pripyat" and "zaton" folders) and "all.spawn" (from "spawns" folder)"
There are no files like that, do i just copy everything to the game directory then? this is exactly what I was searching for. I did exactly what is said in the instructions, but on starting a new game the typical error came "xray engine has stopped working". I can´t get my hand´s on "Absolute Nature 4.01", only the most recent version 4.04. Should it work despite not using the 4.01 version or could that be the root of the problem? If it is, do you know any source for the older 4.01 version of Absolute Nature? Thank´s for puting this up! Nevermind! It seems to work now, man friggin awesome! Thanks a lot! my game keeps crashing whenever I put on a mask. I think it has something to do with dynamichud. is anyone else having this issue? INstalled and works fine so far. Awesome job of combining a bunch of great mods. One question though, I really wanted to do a playthrough of the CoP storyline, but now it seems the game start is different. Not like I am the decently equipped army Spec Op dude, but now I just have an anorak and a shottie. It sounds like a fun start, but I haven't played more than the start of the original game, and kinda wanted to grok the story. Can you tell me which of the mods is creating the alt start? Anyway, great job, and thanks! This was a big tricky to install, as I wanted to use JSGME. I was worried that since AF3 and AN4 have their own installers, that there would be problems, but I followed the steps and slapped your patch on top (using JSGME) and it all seems to work fine. I'm also curious as to the change in start. I hadn't played CoP before either, so starting with only a TOZ, near a ton of Zombies, with an imminent blowout and no idea where to head for supplies and shelter, certainly made things interesting! Is adding scopes bugged in this? I haven't found a single weapon (except of built in sniper rifles) that accepts a scope. Strangely, editing the weapons '.ltx' file to accept a scope (using the 02 switch) causes the game to fail to load. I have a french version of the game. It surely must be in "treasure_find.script"
Also, there is no radio music in the game, is it normal? this hud is cool mate but can you also add the numeric magazine indicator as well? Any idea how I can fix this? I would really like to be able to play with all these mods. Thanks in advance! Hi, sry for the late reply, please add this file to your gamedata/sounds folder. This is sweet! But I'd like to ask, is it possible to make this with STCoP 3.0.1.? Cause it got new weapons and some better things added. Fix for the SCAR-H running animation when you attach the M203 on it. Is it possible to make this work with STCoP 3.0.4?